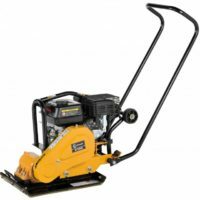 The Lumag RP700pro Compactor Wacker Plate is a great “all rounder”. This machine is light enough to manoeuvre and handle but packs enough punch to get the job done. The handles fold down for easy storage. This machine is powered by an excellent Loncin G200 engine.